StoryBook Play™ Sessions are designed to help parents develop play skill with their children through easy to play narratives. Weekly Sessions- ongoing weekly play skill development sessions and support. Home/School Program Development- creation of custom books based on child's play skill level, along with training and support for caregivers to use these tools in the home or school setting. Kelly's practice is now located the Roxborough section of Philadelphia, PA. Contact kelly@storybookplay.com for more information. 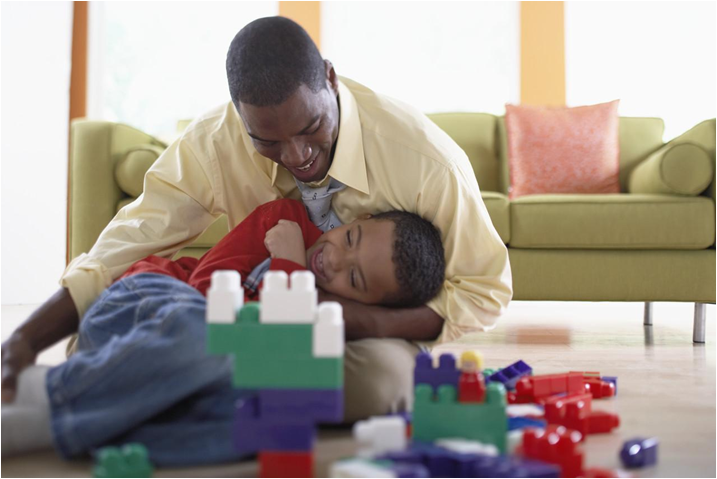 Deepening Your Relationship With Your Child Through Play AND Deepening Your Relationship with Your Child Through StoryBook Play! These 4 week parenting classes are designed for parents of children ages 3-7 of all developmental and play skill levels who are interested in building their bond and relationship with their children through play. Exploration of playtime experiences along with instructions on child-centered play activities and play skill development are the core of these classes. StoryBook Play class culminates in the creation of StoryBook Play books. Classes meet every other week beginning in May and are 75 minutes. Cost for this course is $225.